NYACK – Hours after Governor Andrew Cuomo dedicated both spans of the new bridge he got named after his father, the late Governor Mario Cuomo, opening of the second span was cancelled because a section of the old adjacent Tappan Zee Bridge was determined to be a hazard.A celebration on the second span of the new bridge was held Friday morning with all present praising the current governor for moving the project forward, but the promised Friday night opening never happened. That has prompted questions about the timing of Cuomo’s celebration less than a week before his Democratic primary election bid. “Safety has to come above all else, and the governor needs to be fully transparent about what happened here,” said Democratic political opponent Cynthia Nixon. “A ribbon cutting ceremony should not have been held if the bridge span was not yet safe. 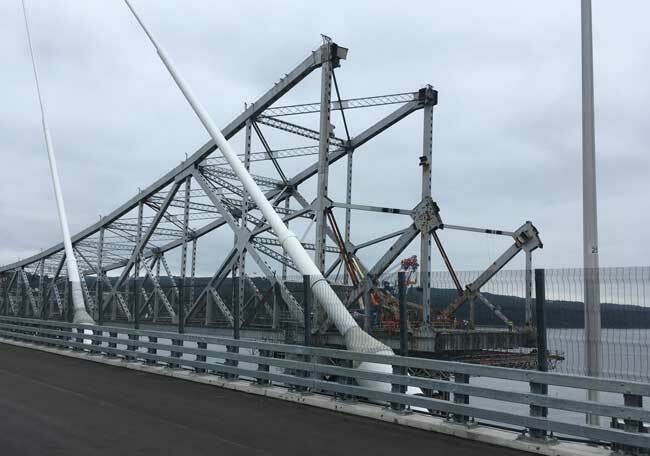 There are real, reasonable questions about whether this bridge span opening was accelerated to aid in the governor’s campaign,” she said, calling for an investigation.